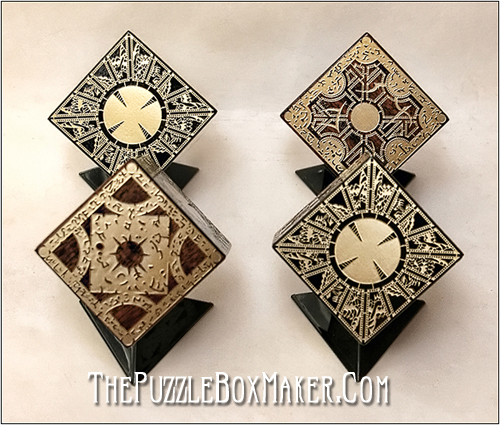 The Wholesale Hellraiser Puzzle Box is an affordable way to get several etched Brass and Mahogany Hellraiser Puzzle Boxes at a reasonable price. 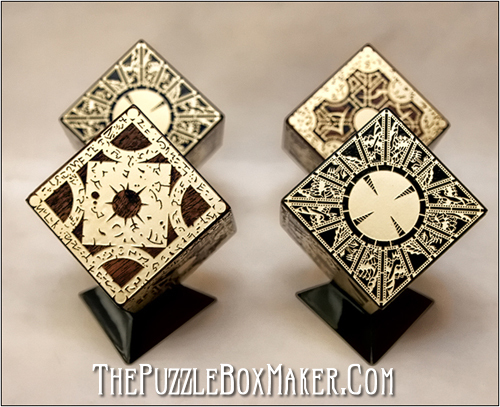 The boxes are based on the boxes used in the Hellraiser 1 and Hellraiser 2, which were designed by Simon Sayce the original designer of the boxes. Great for getting a group of friends together to do a group buy, or get signed and sell on ebay for profit! See Purchase page for pricing.